On Monday, December 12, 2016, the Sullivan County Commission approved the purchase of bonds that will provide the necessary funds to launch Phase I of a comprehensive facilities plan for Kingsport City Schools, Sullivan County Schools, and Bristol City Schools. Construction of a new Regional Science and Technology Center on the campus of Dobyns-Bennett High School. The purchase and renovation of the current Sullivan North High School to transition into a KCS middle school. Renovation of the current John Sevier Middle School to transition into a KCS elementary school. Closure of Andrew Jackson Elementary School for a re-purposed usage. From the $140 million bond issue, KCS will receive approximately $44.1 million. Of that, $20 million will transfer back to Sullivan County in exchange for the current Sullivan North High School. 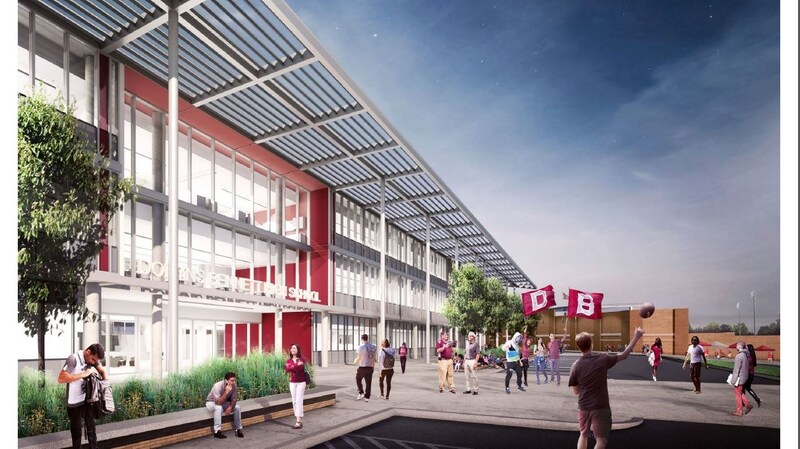 The remaining $24.1 million will be used for other components of the KCS Phase I plan, including construction of the Regional Science and Technology Center at Dobyns-Bennett High School. 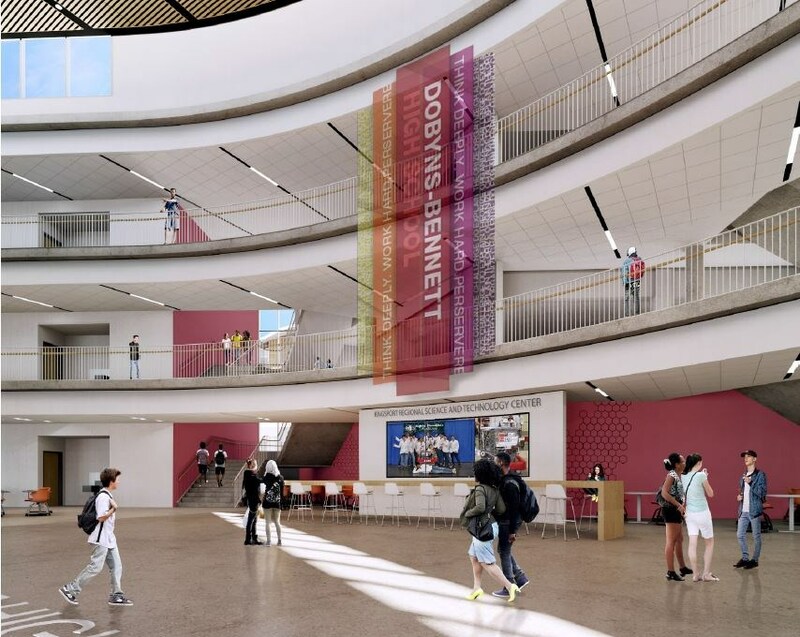 Renowned international architecture firm Perkins+Will has completed initial design concepts for the Regional Science and Technology Center (RSTC) to be constructed at Dobyns-Bennett High School! 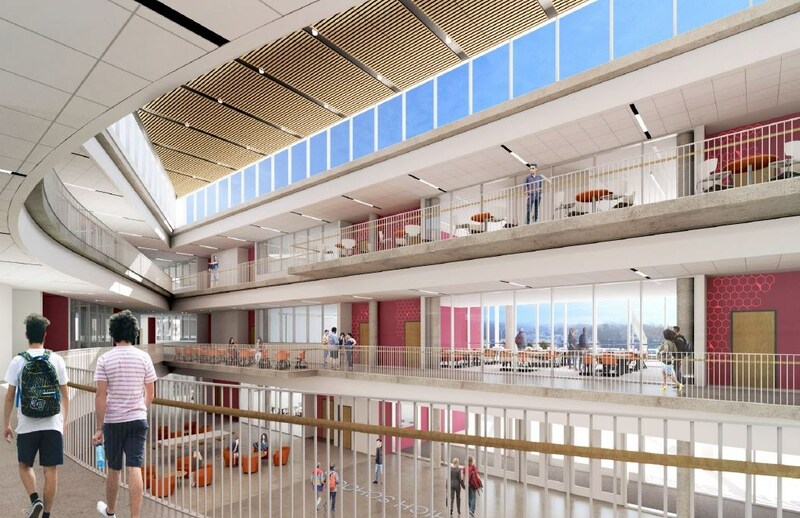 Construction of the new Regional Science and Technology Center will begin in the Fall of 2017, with a potential move-in date in the Winter of 2019. 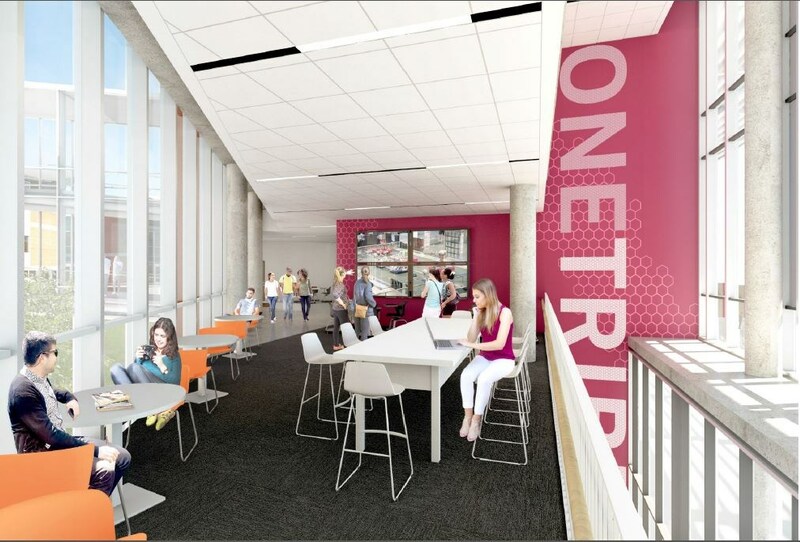 Click below to view a full presentation review of the Regional Science and Technology Center, including current concept and design renderings. *Note that as facility design and branding development continues in the coming months, the preliminary images contained in the presentation below may not match final construction. 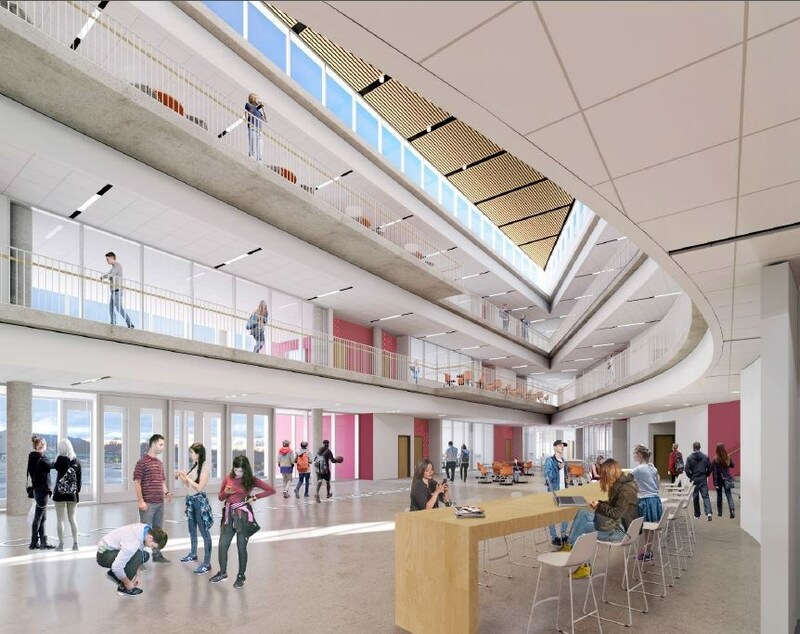 The new Regional Science and Technology Center will serve to transform educational opportunities in northeast Tennessee, providing increased science and technology course offerings and opportunities.Currently, design work is continuing by the architectural firm of Perkins + Will. 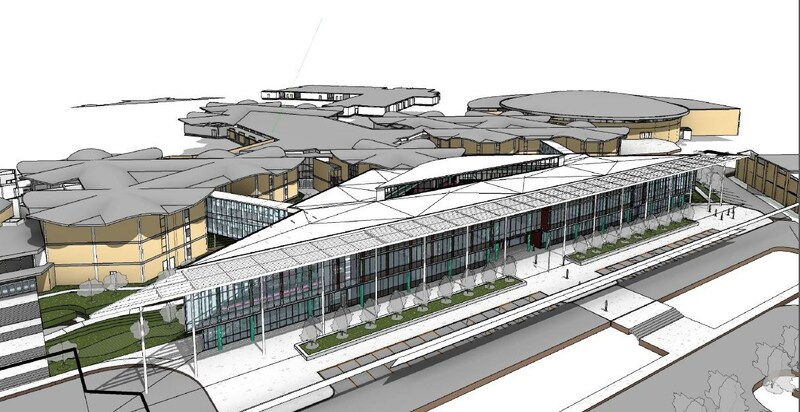 The current work by Perkins + Will includes the design development phase. Pending approvals and funding, construction of the RSTC could start as soon as Fall 2017, with opening in the Winter of 2018. The RSTC will provide a new "face" to the D-B facility, which is nearing 50 years of age. KCS will purchase and renovate the current Sullivan North High School to be utilized as a KCS middle school. Along with Ross N. Robinson Middle School, the new middle school will serve students in grades 6-8. Consideration of rezoning needs are currently underway. The goal is to give KCS families a 2-year notice regarding zoning adjustments. The transition will additionally provide KCS with much-needed athletic facilities/fields. KCS will renovate the current John Sevier Middle School to be utilized as a KCS elementary school.